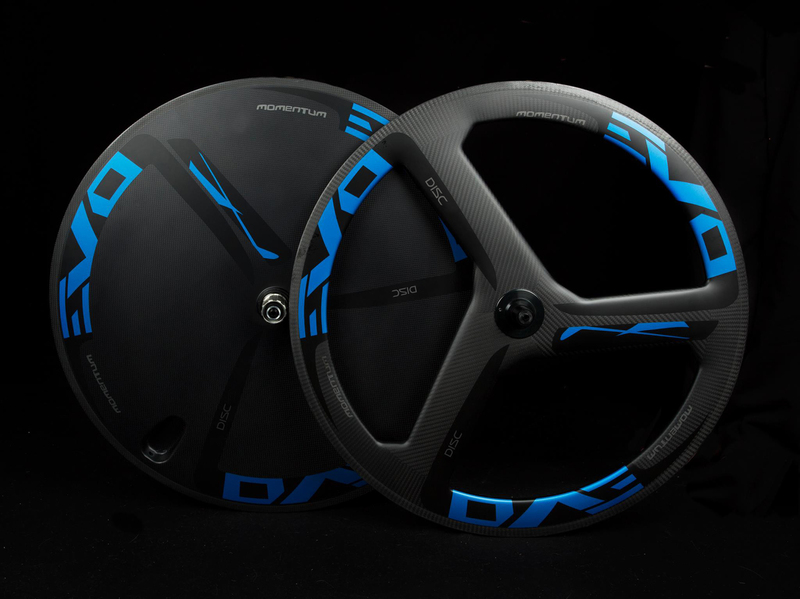 We offer two types stunning Triathlon / TT specific wheelsets to marry to the stunningly fast Kronos R-9 frameset, or to compliment your current racing rig. Booth of are wheelsets are suitable for the classic 'Contre la Montre' time trial or are perfect for the Olympic Triathlon and IRONMAN race. 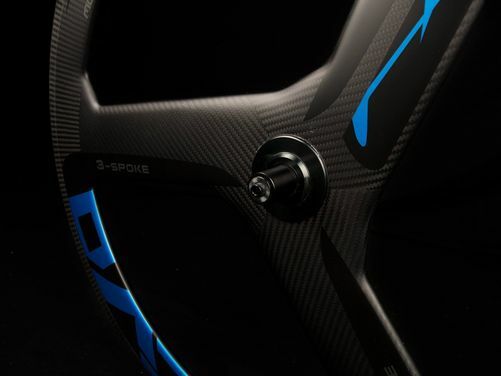 Our classic and most popular combination is the blisteringly fast MOMENTUM full carbon disc & front tri-spoke, offering the perfect combination lightweight and aerodynamics. The alternative is the MOMENTUM front and rear tri-spoke combination, ideal for those sporting courses in either time trial or triathlons, or in windy conditions. 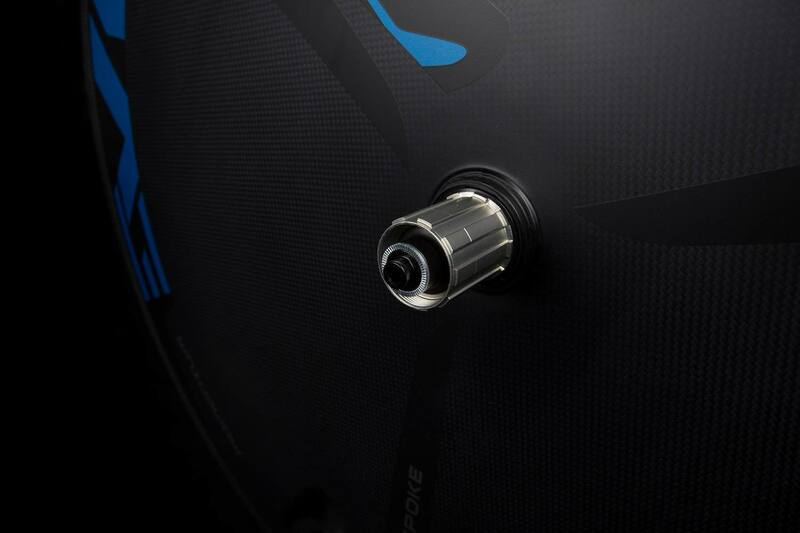 They're also ideal as a spare set of training wheels for your Kronos R-9 or as some stunning head turners on your Nebula R-9 road bike. Both wheelsets come as standard with sealed cartridge bearings, but can be upgraded to ceramic bearings for that truly top of the range wheelset. 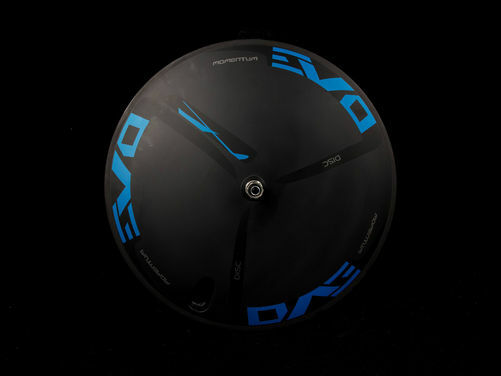 The choice of any self respecting true racer or cycling purist.